LTLO runs April 29-June 2, 2019 and is NOW OPEN FOR REGISTRATION. Describe what it means to learn - anywhere, anytime. Identify common components of an online learning environment. Compare differences between online and traditional learning. Plan for areas of personal adjustment required for success in online learning. Analyze different types of learning environments including a personal learning environment. Explore and employ effective online communication tools and strategies. Describe the role of an online learning community in supporting learning. 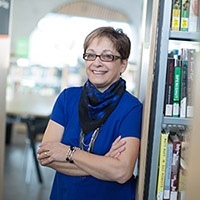 Dr. Martha Cleveland-Innes is a Professor and Chair in the Centre of Distance Education at Athabasca University where she is heavily involved in the research and practice of blended and online teaching and learning. She holds a PhD in Education with a concentration in higher education and the social world. She joined Athabasca University in 2001 and teaches leadership, blended and online teaching and learning, and MOOC design and delivery. Dan Wilton has over fifteen years' experience as an online instructor. As course Inspirer and lead facilitator for LTLO, he will be your guide to making this MOOC enjoyable and rewarding. 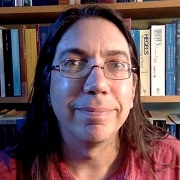 Dan is a doctoral student in distance education at Athabasca University and is a developer and research assistant for the Centre for Distance Education, where he is involved in the design, development, and analysis of several MOOCs and other educational initiatives. ... and our dedicated facilitation team of online education specialists.